CIRCA 2018 - U.S. President Donald Trump says that Paul Manafort is a very good person who worked for him for a short period of time. hd00:52CIRCA 2018 - President Donald Trump calls FBI agent Bruce Ohr and his wife Nellie a disgrace and insults Robert Mueller and the Russia investigation. hd00:35CIRCA 2018 - U.S. President Donald Trump answers questions about revoking the security clearance of former CIA director John Brennan. 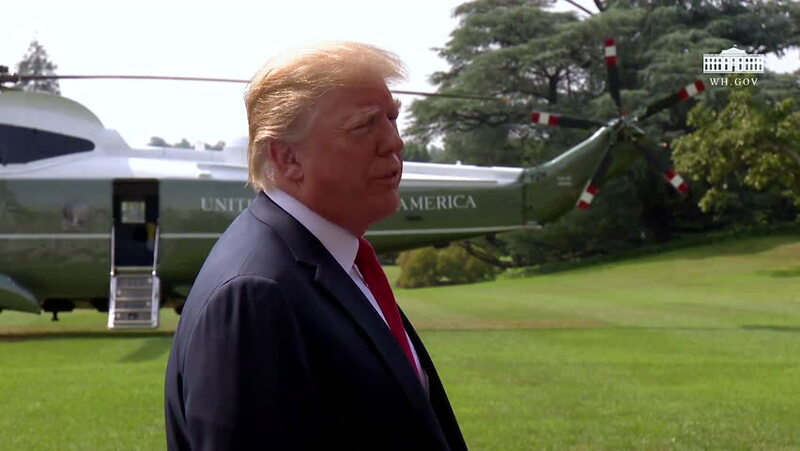 hd00:292018 - U.S. President Donald Trump speaks to reporters about the upcioming summit with Kim Jong Un and North Korea. hd00:48CIRCA 2018 - U.S. President Donald Trump speaks to reporters in press corps and says it is unfair when men are accused of sexual crimes.